Why are there so few women in sports technology? Angelina Lawton is one of the 30 most powerful women in U.S. sports, according to the Forbes, which published its list in March 2018. As the founder and CEO of interactive sports agency Sportsdigita, Lawton’s client roster includes more than 300 professional and collegiate teams. Iconic franchises such as the New York Yankees, Dallas Cowboys, and Los Angeles Lakers are among the organizations that use her company’s exciting, interactive tool Digideck. Sportsdigita’s cloud-based presentation platform enables clients to apply customized tools to facilitate the sales process. Studies have shown a diverse workforce leads to better productivity and profits. Having women and minorities in sports tech can help products reach the wider sporting audience. Lawton, an Arizona State University alumna, is one of only two technology company founders on Forbes’ list. “Like most other industries, the sports industry is being disrupted by technology advancements and cultural changes,” Deloitte wrote in 2018 for its annual report on sports industry trends. However, the number of women at the helm of these companies remains stagnant. Low representation of women in both sports and tech has been studied and well-documented over the past decade. Most research arrives at a similar conclusion: female entrepreneurs are approached, evaluated and managed differently, even in Silicon Valley and the other designated tech Meccas which fancy themselves meritocracies. Like Lawton, Ashley Wellington-Fahey used her tech background as a foundation for a successful sports business launch. 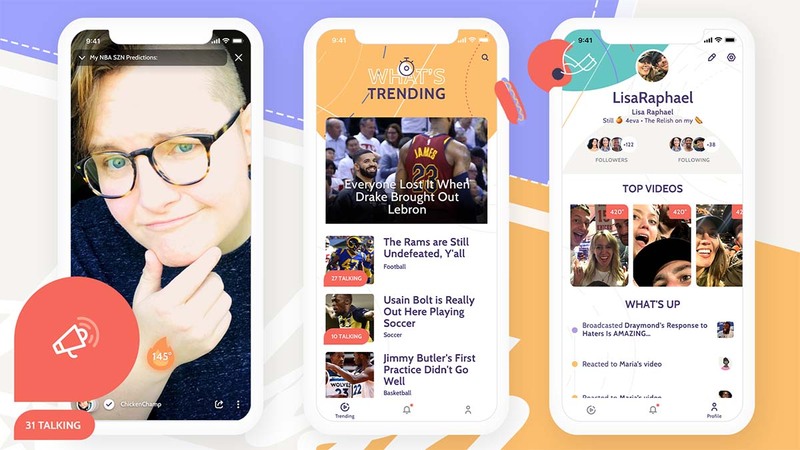 The Relish released its mobile app in October 2018 to showcase the millennial female sports fan’s perspective, a need she identified eight years earlier. Wellington-Fahey launched the video-based mobile app at a time when college sports have taken over the channel guide, the NFL is in midseason form, and the NHL and NBA are ramping up. However, women are often overlooked until the Kiss Cam. The Relish seeks to engage the female fan on every level. That breadth of focus is a key distinction. Many previous women-centered projects focused on one-off topics such as sports motherhood, limiting the platform based on the false assumption that women without children had no reason or desire to spend money and time on sports. Companies such as Sidelinepass.com attempted to address the needs of the female fans but faltered due to funding limitations. Wellington-Fahey plans workarounds while acknowledging the potential pitfalls that plagued her predecessors. The notion that sexism runs rampant in the sports world also didn’t deter her. She cut her teeth at Pandora and other technology startups. She’s familiar with the rumors of the rampant “Brotopia” culture. The fix will require concentrated efforts at every level of the sports tech industry. To make headway, those efforts must be monetized. Facts show the engaged, knowledgeable female sports fan base keeps growing. The numbers also show that companies founded by women tend to outperform peer institutions. However, the majority of resources and funds remain directed toward male founders. Women, however, are no longer content to remain in the proverbial kitchen of self-funded blogs or nonprofits. But how do they join the funded founders’ boys club? The women-owned companies Sportsdigita and The Relish are outliers as most vc-funded sports-focused companies are founded by men. In January 2018, Sportsdigita announced the completion of its first investment round from Chicago-based PEAK6 Sports. The company had been approached several times in the previous five years by venture capitalists eager to add them to the client roster. Lawton, true to form, moved cautiously. “It’s important to not just take any money you can get your hands on without first considering all aspects of a possible deal. For Sportsdigita, securing funding required a lot of vetting and research along the way,” she said. The Relish closed its first round of venture funding in 2017, a year after the company launch. 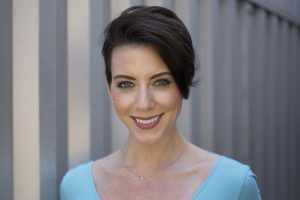 It has raised more than a million dollars from notable investors such as Charles Hudson at Precursor Ventures, SLO Ventures, Halogen Ventures and Sara Clemens, the COO of Twitch and Chamillionaire. In addition to financial backing, Wellington-Fahey said the mentorship from venture fund individuals helps the company course correct and plan smartly. That advice helps funding recipients make the best use of the resources, but she’s aware her company receives less than her peers’ startups. “We’ve raised over a million dollars. I can compare The Relish to companies founded by men with far less traction, and they raise more money. The excuses … The benchmark always changes. Other male founders will admit that they don’t hear the same excuses that a lot of us female founders hear,”. The notion that it’s more difficult for women to find dollars is not an imaginary windmill. It’s a legitimate concern for women entering the sports tech sector. From initial concept, women-led companies face gender-based hurdles. In classic chicken-egg fashion, the companies receive less funding during the early stages, thus facing greater obstacles to growth, including limited resources and understaffing. How can they transition, then, into the next level of company development? It’s tough in general, but even harder in a field like sports technology where a female founder is considered outside the norm. “When women do seek funding, venture capitalists do not respond positively when their business concepts fall outside of traditionally ‘feminine’ areas such as fashion or children’s products,” Wendy DuBow and Allison-Scott Pruitt wrote in 2017 for the Harvard Business Review. Jasmine Robinson of Causeway Media Partners provided a funder’s perspective. Causeway is a Palo Alto-based growth stage investment firm focusing on sports media and technology companies. With $345 million in capital under management, companies they have funded include wearables, fitness apps and venue technology. Causeway’s minimum revenue size is $5 million. After graduating from Harvard University, Robinson joined Bain & Company. While there, she found the chance to move into the sports industry, her passion, and made the leap. 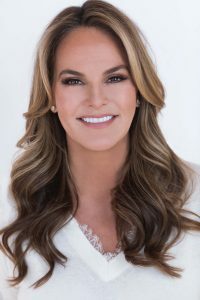 She spent seven years in the sports industry, first as a member of the strategy team tasked with the San Francisco 49ers transition from Candlestick Park to Levi Stadium and then to a role with an investment company. When she realized how much she really liked investing, she elected to go to Stanford University Business School to strengthen her skills. Robinson hasn’t been as affected by rampant sexism others have detailed, finding sage mentors early in her career who helped guide her course. She is aware of the problem. Currently, there are no female CEO’s in Causeway’s portfolio, although a majority of the companies have senior roles occupied by women. According to the Harvard Business Review article, the gender gap in funding is moving in the wrong direction both in terms of the number of deals and the amount of money offered to aspiring female entrepreneurs, especially in the technology sector. The facts deter many would-be startup leaders. If they can’t find funds to get off the ground, how do they attract support? Finding tech talent is becoming more of a challenge for us. It’s so important for us to find committed, hardworking technology innovators to continue to set our company apart. Developers, in particular, are in high demand at the moment. There are a ton of tech companies in Minneapolis, so there’s a lot of competition for developers. As a woman, have you encountered skepticism or sexism in the sports technology world? I have always advocated to use my gender as an opportunity to stand out and set myself apart in a male-dominated industry. I am eager to inspire other women to do the same and be bold with their actions. How would you describe your shift into the technology sector? What was the moment that moved you to found your company? The shift from a sports agency to a technology company really happened when our cloud-based presentation platform, the Digideck, began to take off. We were seeing an unprecedented amount of success with the Digideck product and realized it held a ton of potential. Prior to founding Sportsdigita, I was the senior vice-president of corporate communications for the NHL’s Tampa Bay Lightning. In this role, I was essentially responsible for anything with the Lightning logo on it. Taking on such a huge responsibility with major branding implications made me push to create the first in-house creative agency for a pro sports franchise. After the success with the Lightning, I knew I had something that I could apply across all professional sports. This really gave me the confidence and positive reassurance needed to start my own company. Would you consider being headquartered away from Silicon Valley’s “Brotopia” culture a benefit? Absolutely. The Twin Cities is great for startups. There’s a high quality-of-life with a reasonable cost-of-living. And there are a ton of tech and startup companies based here, in sports, in manufacturing, in technology and more. And for us, being somewhat centrally located allows us to serve clients on both coasts equally well. Securing venture funding is never a cakewalk — how would you describe your experience? We have been fortunate enough with our early success to have been approached by different venture capital groups throughout the last 5 years. We just took in our first investment in 2018 because we felt it was the right time and right partner. It’s important to not just take any money you can get your hands on without first considering all aspects of a possible deal. For Sportsdigita, securing funding required a lot of vetting and research along the way. My advice is to wait until you feel your company is ready to make the leap into venture capital and then make sure the proper due diligence is done before securing a venture capital partnership. Ensure that your partner shares your vision and will still allow you to make your own business decisions in the future. It is important to stay true to your mission and values throughout the entire process. Is there anything else you’d like to share with women in both shaping the future of sports technology and finding new opportunities in the market? Finally, I always close by emphasizing that women need to support each other. Other women ARE NOT my competition. I stand with them, not against them.